If you suspect that you have mold in your home, Green Home Solutions in Madison can provide immediate mold testing to help you diagnose and remediate any mold concerns. 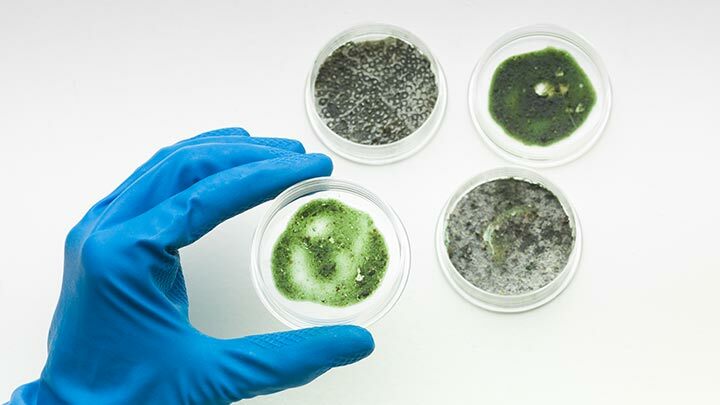 Our extensive testing services, which strictly comply with the Indoor Environmental Standards Organization procedures, allow us to determine the full extent of mold growth in your home. We provide these inspections in addition to remediation services. In fact, our representatives recommend getting testing before and after any treatments. That way, you can have complete peace of mind, knowing that your treatment was a success. Green Home Solutions proudly assists homeowners, property managers, and businesses with mold testing and mold remediation services in Madison, McFarland, Fitchburg, Middleton, Verona, and Stoughton. With professional mold testing from our expert team in Madison, Green Home Solutions can quickly assess the extent and seriousness of any mold growth in your home. Our detailed mold inspections look specifically for visible mold growth as well as any growth that’s concealed behind floors, walls, ceilings, and other surfaces in your home. This information doesn’t just help us provide extremely targeted mold remediation solutions, it also helps to determine the initial cause of any mold issues. That way, we can help you to take concrete steps to prevent mold growth in the future. By the time mold is visible to the human eye, it’s already proliferating and spreading into dense mold colonies. Our mold testing services allow Madison homeowners to get ahead of any mold problems. We use infrared scanning technology to detect tiny, microscopic mold spores allowing us to unearth any hidden patches of mold. Our representatives will take samples for third-party lab testing if we need further verification, so we can present you with comprehensive and thorough inspection reports. We also provide remediation plans, so we can take immediate action to treat and contain mold. If mold testing confirms the presence of mold in your Madison-area home, what’s next? Green Home Solutions delivers fast-acting mold abatement services to quickly contain, reduce, and prevent any and all mold growth in your home. We can often complete treatments in less than a week, with less teardown than conventional methods. Learn more about our affordable mold remediation here. Think you might have found mold on your property? Get definitive mold testing from Green Home Solutions in Madison—just call our office at (608) 982-7053 today.